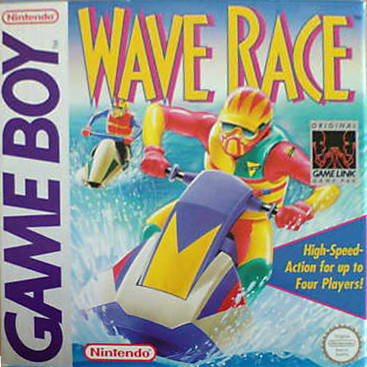 Wave Race on the Nintendo Game Boy is one of the very few Game Boy games that I owned when I was a child, I remember that I would always bring this game to the playground and me and my friends would often challenge each other to see who was the fastest racer. 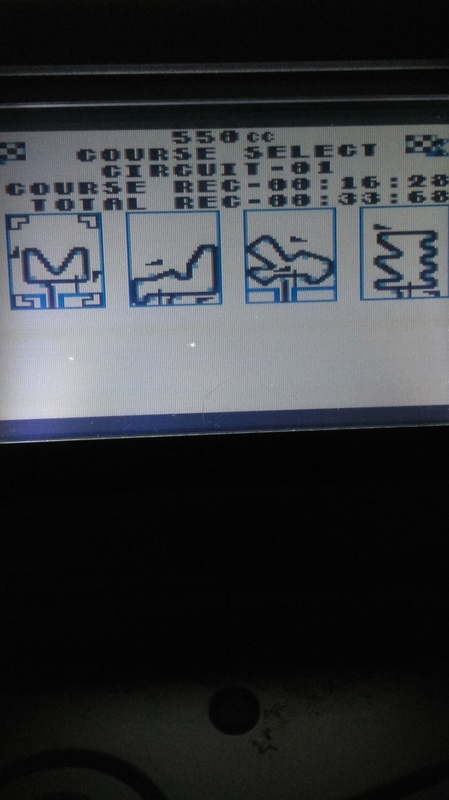 Back then I thought that Wave Race was a fantastic game, but how does it hold up today? 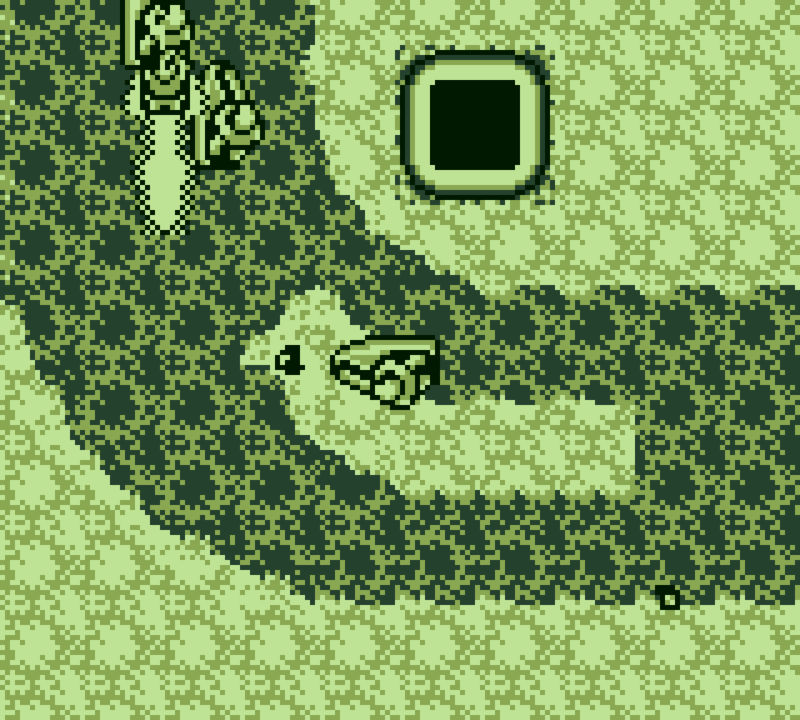 If you haven’t figured it out yet,Wave Race is Jet Ski racing game, you and three other players which can either be CPU’s or your friends who you have the ability to race against by connecting via the Game Boy Link Cables. Practice- Selecting this option allows the player to select any course they desire, they can then race through the selected course alone with no other players or CPU’s, this option can be extremely useful as some of the tracks later on in the game have been built for more advanced players as they contain more obstacles such as whirl pools and strong currents of water which slow down the racers, also these later courses have a more complicated and challenging layout compared to the earlier courses. Record- This mode shows the player their best times for every track in circuit mode and it also shows them the total amount of time they have spent on each track, this is a really useful feature that any competitive players will enjoy using for bragging rights it is also really cool to see this kind of feature on such an old game. 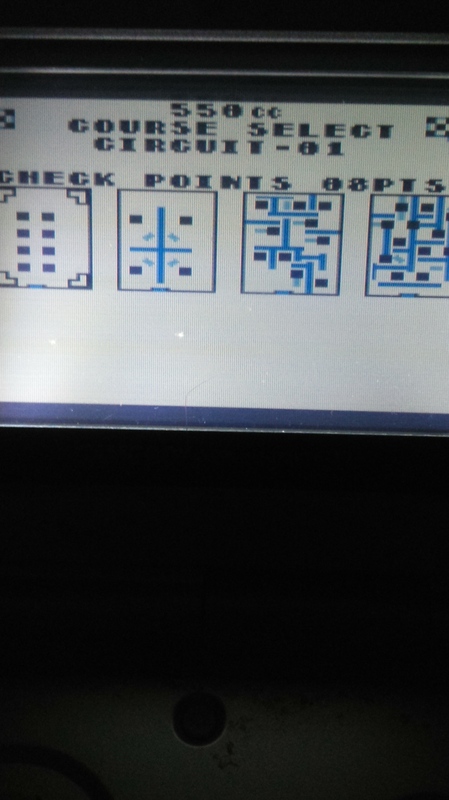 and finally 1P aka the single player mode, as soon as you select this option you will be greeted to another screen which will give the option of playing Circuit Mode or Slalom. Circuit Mode is essentially just a Grand Prix of the four available courses, the player will have to race three CPU’s through out each course while trying to avoid being bashed by the other racers while also steering away from any obstacles in their path to victory, depending on what place you finish at the end of each course you will be given a set amount of points and once the Grand Prix is over all of the points will be added up and the player with the most points will be crowned the winner. 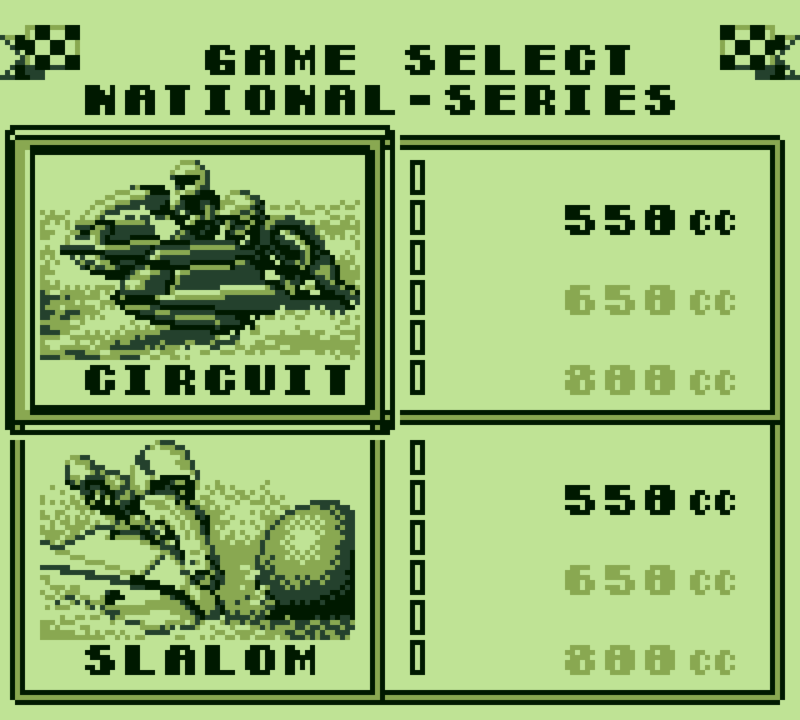 Slalom is similar to Circuit mode as you are still racing three CPU’s in all four of the Slalom Courses, the big difference is that now instead of racing to a finish line the main objective is to race through marked flags in a set order, again depending on how long this takes you will determine what place you will finish, once all of the courses are complete every players points will be added up and the one with the most points will become the winner. The overall look and sound of the game is mediocre to say the least, even though we are given two different game modes I wish that a larger selection of courses were available because 8 courses isn’t enough to keep bringing people back. I also cant say much for the music as again there really isn’t a lot of it, during the different selection screens and menu’s we are presented with some catchy little tunes, but during the racing segments there is no music at all and the only sound you can hear is the penetrating sound of the jet ski’s motor and this gets very annoying. very quickly. Overall Wave Race is nothing special but that in no way makes it a bad game,it has tight and simple controls and even though we are not given much variety in course selection or music the game it self is still fun to play especially with friends, I don’t recommend this game if you plan to play it alone though as I can see most people getting bored with it rather quickly, but if you plan to buy the game I suggest either playing it in short bursts or competitively with friends, as long play sessions did tend to give me a headache due to the annoying buzzing you hear during races.